This time of engagement will be special for you and your fiancé as you prepare to celebrate your marriage to each other in Christ. 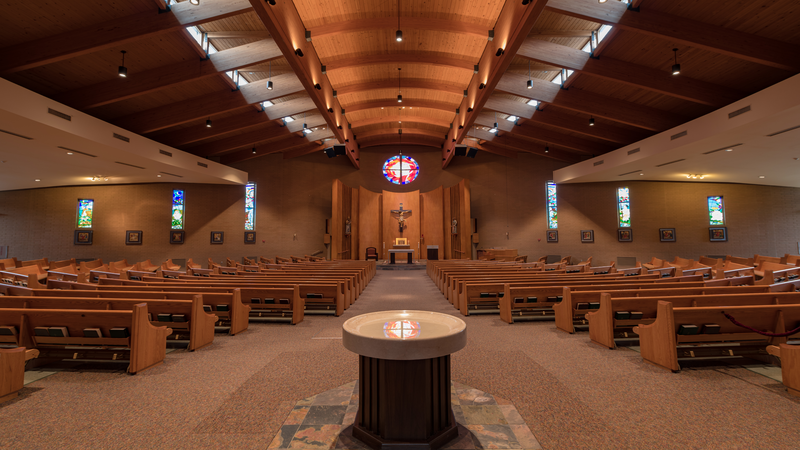 The Priests and staff of the partner parishes of Our Lady of Grace and Saint Benedict churches will do all we can to help you to properly prepare to celebrate the Sacrament of Marriage. We wish to make this time of preparation helpful and formative. To assist couples planning for marriage, it is necessary to know the procedures which exist in our parish and diocese. Our parish guidelines are based on the current code of canon law and our diocesan marriage guidelines. This is a joyous time and we want to provide you and your fiancé the tools you will need to experience a holy and blessed ceremony and a life dedicated to God through the vocation of Marriage. Your wedding day will be a time of great rejoicing for you, as well as your families, friends and for the partner parishes of Our Lady of Grace and Saint Benedict. We will be keeping you in our prayers as you prepare for your life together. Click here to view the complete Sacred Steps to Marriage Packet. Click here to complete a Wedding Inquiry form. Please contact us at 724-838-9480 with any questions or concerns.